Here are some of my favorite recipes this week. 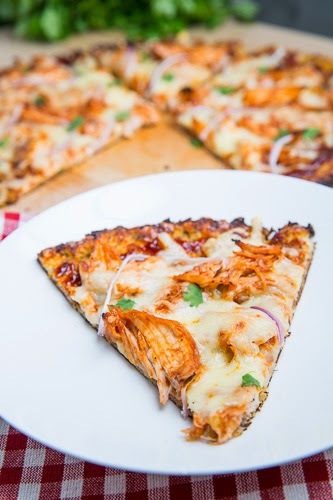 Mix the chicken and barbecue sauce, top the pizza with the chicken, mozzarella and red onion and bake until the cheese is bubbling, about 10-15 minutes. Crust: Rice the cauliflower in a food processor, place it in a microwave safe dish and microwave for 8 minutes or until cooked. Place the cauliflower in a tea towel and squeeze as much moisture out as you can. Mix the cauliflower, egg, mozzarella, parmesan, oregano, salt and pepper, press the mixture onto a baking mat or parchment paper lined baking sheet and bake in a preheated 450F oven until lightly golden brown, about 15-20 minutes. Preheat oven to 400°F. Lightly grease an 8-inch square baking dish with cooking spray. 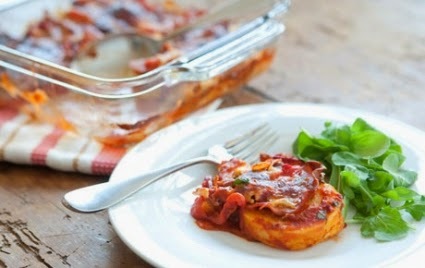 Arrange polenta rounds in an even layer in the bottom of the dish. Spoon marinara sauce over the top, then scatter with oregano. Arrange peppers and pepperoni over the sauce, then top with cheese and parsley and bake until hot throughout and bubbly, about 35 minutes. Serve hot. Place a fine mesh sieve over a bowl. Mash the strawberries with the back of a spoon so the juices drip into the bowl. Add ice to a chilled mug or highball glass. 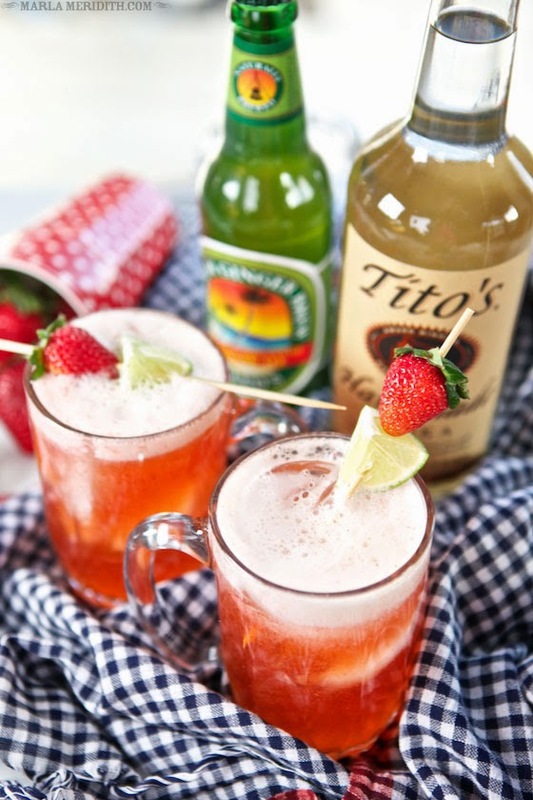 Divide strawberry juice, vodka and lime juice between the 2 mugs/glasses. Top off with ginger beer last. Place a lime & strawberry skewer in each cocktail.